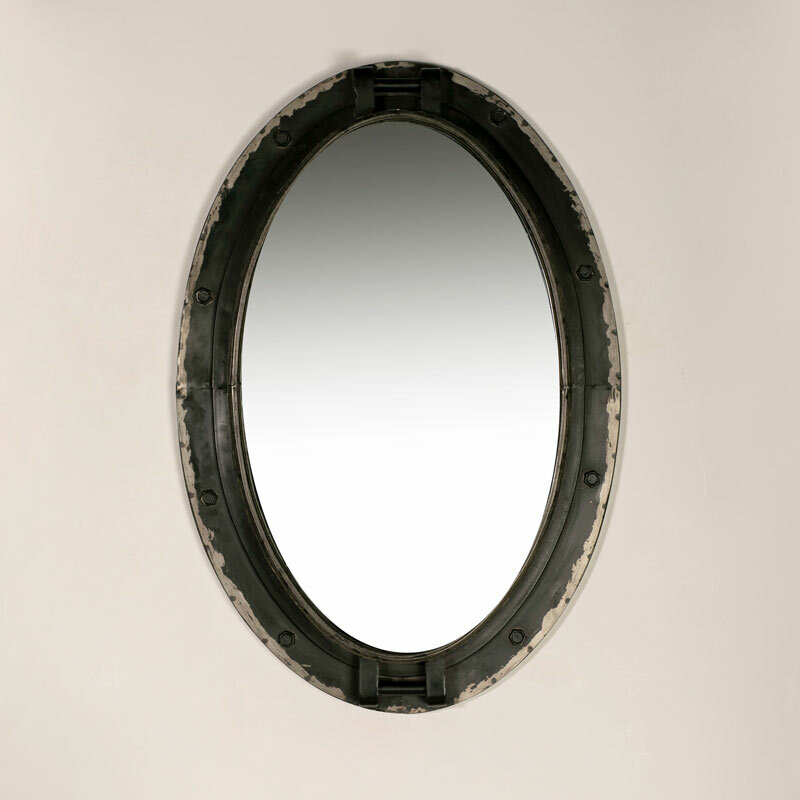 Large black oval wall mirror in a porthole style perfect for adding a nautical theme to your home decor. 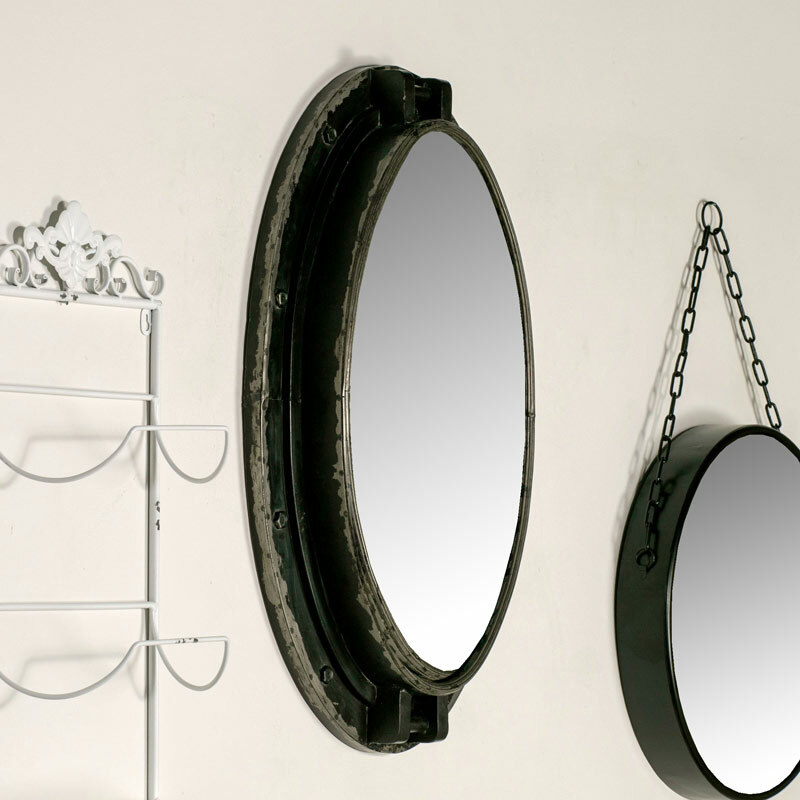 Weathered and decorative style to add an aged industrial look to this wall mounted bathroom mirror. Heavily distressed to complete its look of age timeless age. Constructed with a sturdy large metal frame painted in blacked with a distressed appearance to give an aged, weathered look. The mirror hangs from a hook on the back.